Junk bonds are almost the same as regular bonds with an important difference. They are lower rated for credit worthiness. This is why in order to understand junk bonds, individuals first must comprehend the basics of traditional bonds. Like traditional bonds, junk bonds are promises from organizations or companies to pay back the holder the amount of money which they borrow. This amount is known as the principal. Terms of such bonds involve several elements. The maturity date is the time when the borrower will repay the bond holder. There will also be an interest rate that the bond holder receives, or a coupon. Junk bonds are unlike those traditional ones because the credit quality of the issuing organization is lower. Every kind of bond is rated according to its credit quality. Bonds can all be categorized in one of two types. Investment grade bonds possess medium to low risk. Their credit ratings are commonly in the range of from AAA to BBB. The downside to these bonds is that they do not provide much in the way of interest returns. Their advantage is that they have significantly lower chances of the borrower being unable to make interest payments. Junk bonds on the other hand offer higher interest yields to their bond holders. 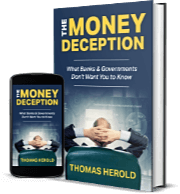 Issuers do this because they do not have any other way to finance their needs. With a lower credit rating, they can not borrow capital at a more favorable price. The ratings on such junk bonds are often BB or less from Standard & Poor’s or Ba or less by Moody’s rating agency. 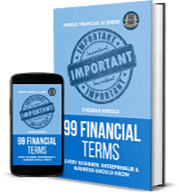 Bond ratings such as these can be considered like a report card for the credit rating of the company in question. Riskier firms receive lower ratings while safe blue-chip companies earn higher ratings. Junk bonds typically pay an average yield that is from 4% to 6% higher than U.S. Treasury yields. These types of bonds are placed into one of two categories. These are fallen angels and rising stars. Fallen angels bonds used to be considered at an investment grade. They were cut to junk bond level as the company that issued them saw its credit quality decline. Rising stars are the opposites of fallen angels. This means the rating of the bond has risen. As the underlying issuer’s credit quality improves, so does the rating of the bond. Rising stars are often still considered to be junk bonds. They are on track to rise to investment quality. Junk bonds are risky for more reasons than the chances of not receiving one or more interest payments. There is the possibility of not receiving the original principal back. This type of investing also needs a great amount of skills in analyzing data like special credit. Because of these risk factors and specialized skills that are needed, institutional investors massively dominate the market. A better way for individuals to become involved with junk bonds is through high yield bond funds. Professionals research and manage the holdings of these funds. The risks associated with a single bond defaulting are greatly reduced. They do this by diversifying into a variety of companies and types of bonds. High yield bond funds often require investors to stay invested for minimally a year or two. When the yield of junk bonds declines below the typical 4% to 6% spread above Treasuries, investors should be careful. The risk does not become less in these cases. It is that the returns no longer justify the dangers in the junk bonds. Investors also should carefully consider the junk bond default rates. These can be tracked for free on Moody’s website. 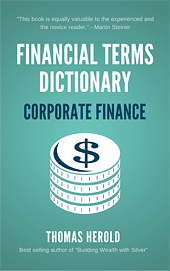 The term 'Junk Bonds' is included in the Corporate Finance edition of the Financial Dictionary. You can get your copy on amazon in Kindle or Paperback version. See more details here.